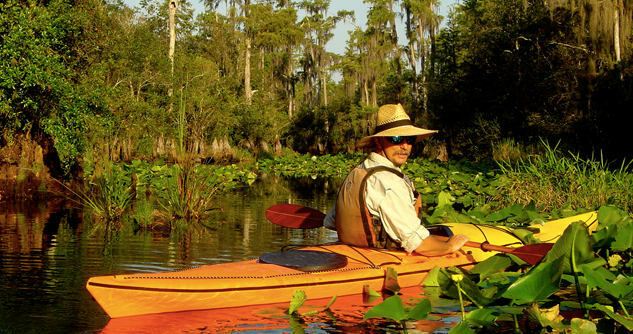 Easy — no prior paddling experience necessary. 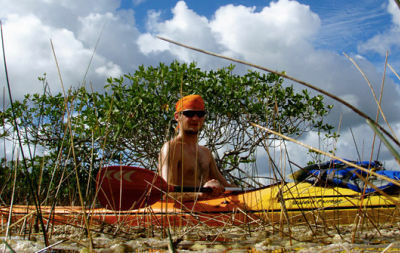 Adventures in Florida provides all meals, kayaks or canoes, all paddling gear, paddling safety gear, permits, shuttles and two local experienced guides. All meals starting with lunch on the first day and lunch on the last day. 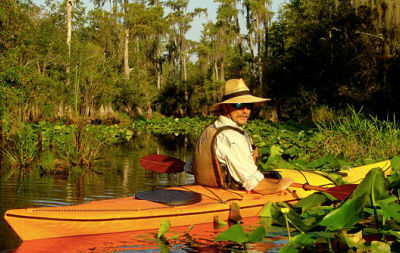 The Suwannee begins as a black-water river in the Okefenokee Swamp, the river of musical legend emerges and flows 240 miles southwest to the Gulf of Mexico. It’s at this source where our journey will begin. Traveling downstream we will explore hardwood swamps, pitcher plant prairies, dark water creeks, and sloughs filled with twisted cypress knees. Camps will be made on sand beaches that make up the rivers shore. 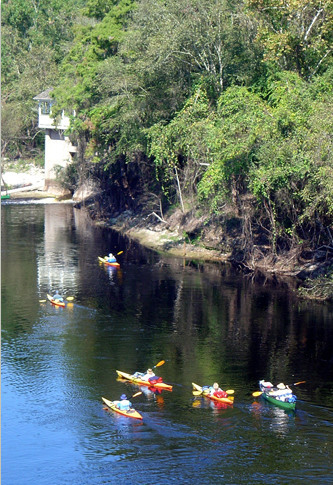 We end our paddle “Way Down the Suwannee River” at the Spirit of the Suwannee Music Park for their annual SPRINGFEST. This is where we exit the kayaks and enter three awesome days of excellent bluegrass, folk, and jam band music. We have our own private camp walking distance to the music stage but far from most crowds. Folks driving in will meet us at the Canoe Outpost located in the Spirit of the Suwannee Music Park near Live Oak, Florida, the night prior to the beginning of the trip. For those participants flying in to Jacksonville, Florida, please fly in as early as possible the day prior to the beginning of the tour and contact us to arrange a shuttle. Day 1 — Our first day will be spent exploring the swamp as we make our way southwest to the headwaters of the Suwannee River. Blooming Tupelos , twisted cypress, peeling river birch, and stoic Live oaks draped with Spanish moss shade our path as we twist and turn our way downstream. Day 2 — Enjoying our return to Florida, we will start to encounter limestone outcrops and higher defined riverbanks. 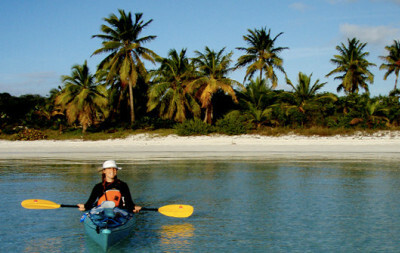 White sand beaches are found at almost every large bend in the river. Early mornings are spent watching huge woodpeckers, swallow tailed kites, and soaring buzzards. 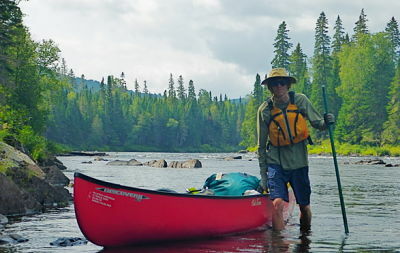 Day 3 — We’ll paddle a nice wilderness stretch of river in the morning and enjoy frequent coyote sightings in this area. 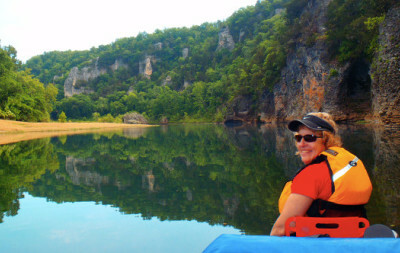 Just prior to lunch, the group will experience some faster water at a small set of shoals. Higher banks begin to form remnants of the ancient coral reef that once stood here. Fossilized sea fans, brain coral, and sea biscuits are evident near every cliff. 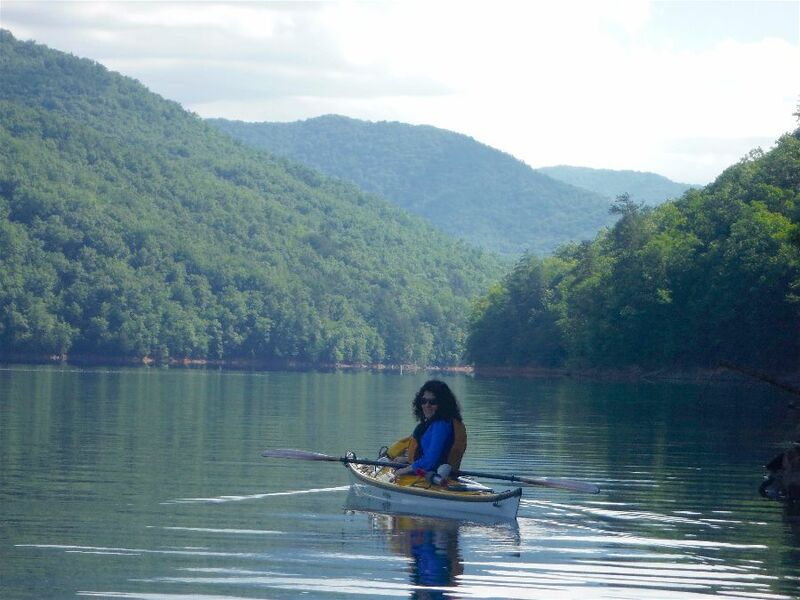 Day 4 — Long paddle today—and if history repeats itself—expect a strong head wind. The payoff is Florida’s only stretch of whitewater, The Big Shoals. Nice big bouncy Class 3 rapids. We will, of course, portage around them. Since camp is at the shoals everyone will get a chance to swim and possibly shoot the rapids. Day 5 — After the portage, we will get a few small shoals to shoot as we make our way into the Historic town of White Springs. Lunch will be Riverside at the Teleford Hotel. With stuffed guts everyone will drift a mile down to the Stephen Foster Cultural Center to get a chance to walk it off. This is one of Florida’s finest state parks. It also has the best gift shop filled with locally made folk art and food. Day 6 — Nice easy day with lots of drifting, swimming, day hikes, and a good rope swing or two. Lots of chances to stop and go exploring on the Florida Trail, birding in the high scrub, or look for swamp creatures in the sloughs. 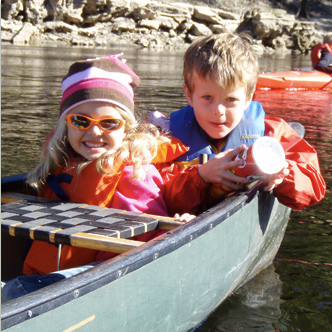 This winding river is known for its blackwater, blooming tupelo, and white sand beaches. Nice easy paddle with lots of time for soaking in the sun, taking pictures of the blooming wild azalea, tupelo, and astors. Day 7-9 — We will return to Spirit of the Suwannee. For those of you who are staying for the music festival, get comfortable in our private camp! All others will be shuttled to the Jacksonville Airport. The leaders will prepare and serve all meals. Meals included in the trip fee begin with lunch on the first day and lunch on the last day. Meals served on the trip will honor and reflect local cuisine. A typical dinner would consist of shrimp and crawfish Creole, white rice, garlic bread, fresh salad, and something chocolate for dessert. 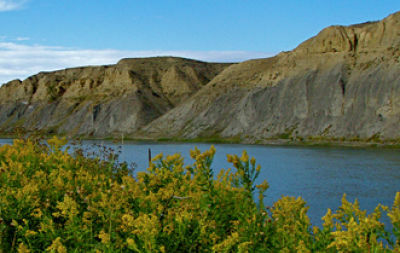 Accommodations on the river are backcountry and primitive. During the music festival there are hot showers and flush toilets.